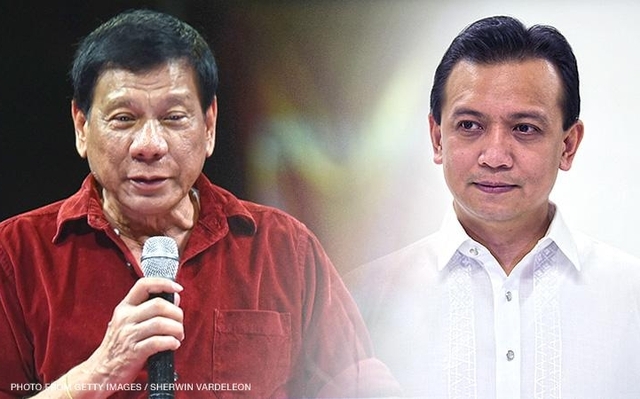 Home / News / Duterte tells 'Trililing': 'Adre, kung bright ka, bakit hindi ka Vice President?" Duterte tells 'Trililing': 'Adre, kung bright ka, bakit hindi ka Vice President?" In an interview at the libingan ng mga bayani, President Rodrigo Duterete went non-stop on name calling senator Antonio Trillanes IV. In his interview he called senator trillanes “Trililing….Arde” and questioned the guts of the senator on challenging the president boasting. “Alam mo itong si “Trililing… Arde, kung bright ka, bakit hindi ka Vice President?” President Duterte said. Then emphasizing that if the senator was really bright, he would have been vice president today. 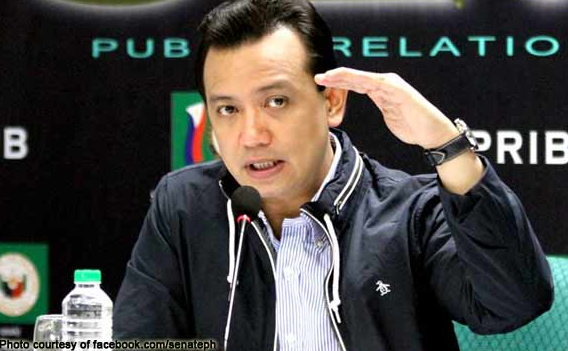 Among the 6 candidate for the Vice President position during the election trillanes was 5th with 844,157 votes where in the election, Trillanes was applying also to be the running mate of duterte which was then refused. 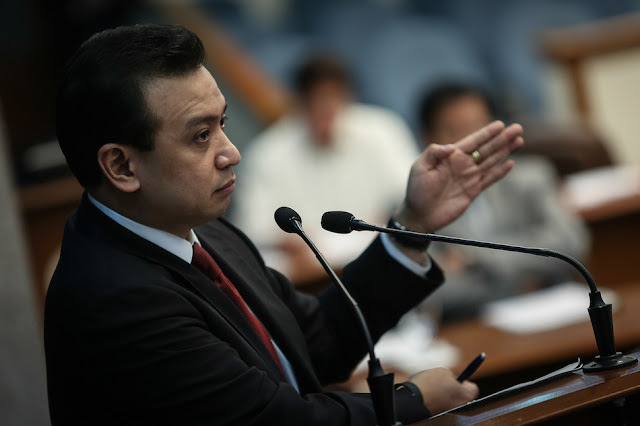 Since the campaign, the senator has been trying his hardest effort to badge the president with his alleged secret bank accounts till the present where even duterte is now the president of the republic of the Philippines trillanes IV continues his efforts and is trying hard to pull down the president.